The Western and Mideast mainstream media are frenziedly spinning Russia’s planned drawdown from Syria as a military defeat and a betrayal of its key ally, but just exactly who is betraying whom? President Putin announced that Russia will begin drawing down its military forces in Syria on 15 March, popularly known as the Ides of March and infamous for being the day that Emperor Julius Caesar was stabbed to death by his own allies. While it may have been chosen innocently enough, the date is rich with symbolism and is quite fitting in describing the changing dynamics that are presently at play in the Mideast. On this peculiar day of the year when things are typically not as they may initially seem to be, what’s being popularly portrayed as a “defeat” and “betrayal” is anything but, while the ones doing the premature celebrating are ironically the very same forces that should be concerned the most. Nearly two millennia after the Ides of March were fatefully enshrined in history, it’s no longer the Roman Emperor that’s being betrayed by his allies, but the Turkish and Saudi ones that are being backstabbed by the US. Presidents Putin and Assad coordinated the decision to decrease the Russian troop presence in Syria, agreeing that the anti-terrorist operation had completed its stated aims of “combating terrorism and the restoration of security and stability to many regions in Syria”. 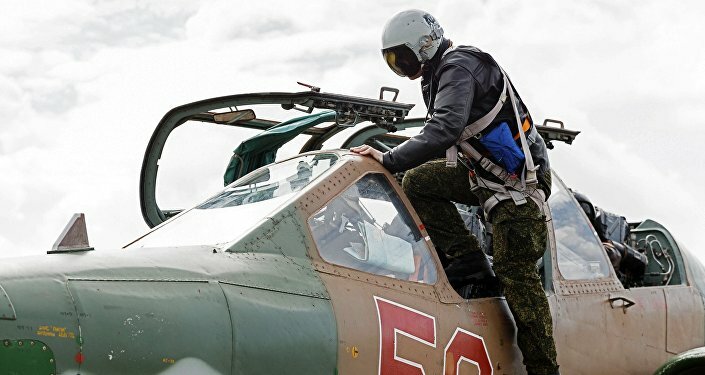 The reader is encouraged to consult The Saker’s latest article if they’re interested in a detailed analysis of everything that Russia has accomplished thus far, but the present piece will now move on to describing the intent behind the drawdown and the contingency measures that are in place for defending Syria from any large-scale aggression against it. Russia’s announcement was timed to coincide with the resumption of the Geneva III talks and clearly carries with it the symbolic message that Moscow is doubling down on its diplomatic commitment in resolving the War on Syria. The country’s leadership has reminded the world time and again that the only solution to the long-running war is a diplomatic one, with only the Syrians themselves having the right to decide how this will unfold. A de-jure partition is absolutely off the table and prohibited by UNSC Res. 2254, but there’s a creeping fear among many that a de-facto one could occur if federalization is ever implemented. It’s perhaps for this reason why the Syrian government and its people are currently not in favor of this approach, and for curious readers who are wondering exactly what could be so bad about federalization, the author welcomes them to read his earlier published research on the topic that’s available at Russia’s National Institute for Research of Global Security. 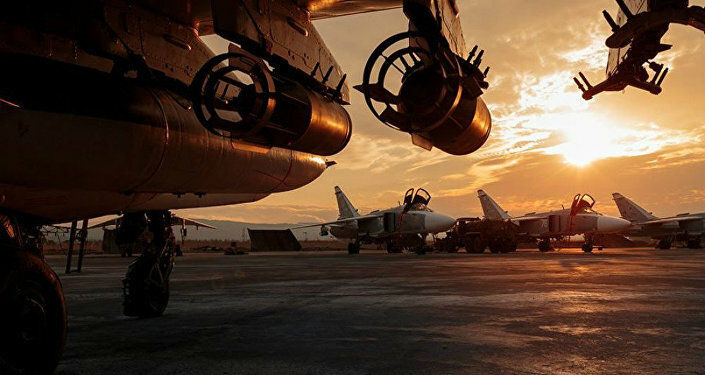 After five and a half months of operation, Russia’s anti-terrorist air operation has succeeded in the herculean task of bringing the War on Syria to its final logical phase, which is the protracted negotiation process that has just recommenced. The conflict has thus shifted from the battlefield to the boardroom, but in the lamentable event that foreign actors influence their political surrogates to sabotage the ongoing talks and reinitiate large-scale hostilities, Russia has a few back-up measures up its sleeve to make sure that Syria isn’t left unsecured. 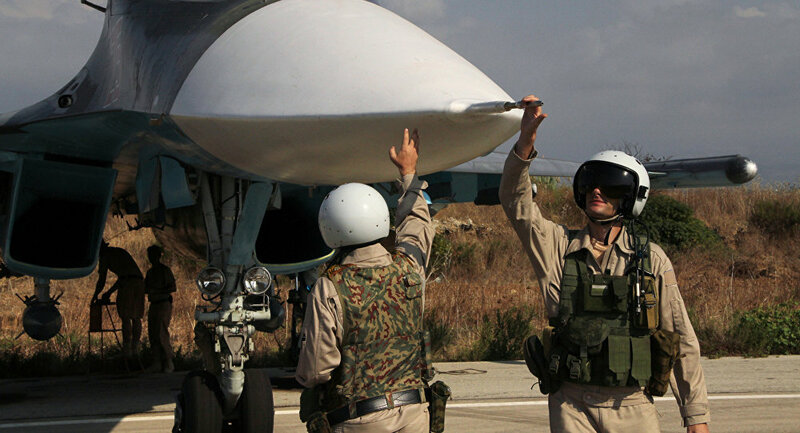 Moscow will retain the Hmeymim air base in Latakia and the Tartus naval base in its namesake governorate, the former of which will be used to monitor compliance with Syria’s cessation of hostilities agreement. While most air assets are leaving the battlespace, there’s nothing preventing their return if deteriorating conditions demand it, and Russia’s Caspian Flotilla is more than capable of using its Kalibr cruise missiles to assert out-of-theater force projection without ever having to leave the country’s territory. In the unlikely but disastrous event that Turkey and Saudi Arabia conventionally invade Syria, Russia has the cruise and strategic missile capabilities to instantly respond to their aggression while considering a more robust follow-up course of action. It’s unrealistic that Russia would not have conferred with its Iranian and Hezbollah allies prior to its coordinated drawdown decision with Syria, just as it’s equally unrealistic that its strategists wouldn’t have considered how this would affect the current balance of forces in the region. There’s no way that Russia would unilaterally make the military moves that it did without some corresponding quid pro quo having taken place on the side of the US and its allies, no matter how invisible it may appear to the untrained eye. For instance, the threat of a Saudi invasion of Syria has dramatically eased after the provocative “Northern Thunder” military exercise ended last week, during which time Riyadh had harnessed 20 countries, 350,000 troops, 2,500 warplanes, 20,000 tanks, and 450 helicopters along its northern border over a tense 18-day period. After the Saudis caught cold feet midway through the drills, Turkey also backed down from its plans as well, despite the Russian Ministry of Defense warning in early February that there was an imminent danger that it could invade Syria around that time. Nevertheless, it shouldn’t be too surprising that this happened considering that Lavrov confidently predicted that the US and its coalition partners would succeed in restraining Turkey. He was obviously privy to the type of high-level and clandestine diplomatic talk that rarely ever filters down to the masses in detail, as is typically the case whenever any Great Power properly engages in diplomacy. There are concrete reasons to believe that Russia and the US may have reached some sort of gentlemen’s agreement behind closed doors, with the clearest indication of this being Lavrov’s major announcement on Monday afternoon that Russia is ready to coordinate its actions with the US in liberating Raqqa, which importantly was made just hours before Putin declared the headline-grabbing military drawdown. Having proven the existence of secret Russian-US diplomacy over Syria (as evidenced by Lavrov’s aforementioned surprise announcement), the recent unparalleled bout of American behavior towards Turkey and Saudi Arabia can now be seen in an entirely new light and be analyzed to further extrapolate what any prospective deal between Moscow and Washington may have entailed. The US’ reluctant and arm’s-length support to Erdogan after he shot down the Russian anti-terrorist plane over Syria late last year sparked questions about why the US would hang Turkey out to dry, but after realizing that it largely comes down to the Kurds, it’s fair to say that the US has turned on the Turkish strongman. The US’ refusal to give Turkey the green light to invade Syria, just as Lavrov predicted, was the undeniable proof that Moscow needed in order to know that Washington was sincere in selling out Ankara’s interests for its own grand geopolitical benefit. As for Saudi Arabia, Obama’s exhaustive interview with The Atlantic magazine, published on March 10, carried some unprecedentedly sharp criticism of the Kingdom. The American President implied that the Saudis were “free riders” who “need to ‘share’ the Middle East with their Iranian foes”, effectively walking back Washington’s hitherto unquestionable commitment to blindly supporting the royals no matter what. Even more shockingly, Obama wouldn’t even deign to call the Saudis his “friends”, preferring instead to remark that their relationship is “complicated” and consequently administering a previously unthought-of public insult against the entire monarchic family. At this point, there’s no use denying the indisputable evidence that the US is visibly recalibrating its relations with Turkey and Saudi Arabia to the maximum discomfort of both of these country’s leaderships, and it’s much more constructive to analyze how all of this happened in hindsight and identify the role that Russian diplomacy may have played in influencing this revolutionary tilt over the past year. The Turks and Saudis have laughed too soon if they really think that Russia has “betrayed” Syria simply because it lessened its military presence in the country, because this Ides of March, there’s much more proof that it’s the US that backstabbed both of them and that Obama did so in the self-interested pursuit of crafting a “peace in Syria” narrative to ultimately top off his ‘legacy’.